Morton – Harry W. “Bill” Braden, 87, of Morton, formerly of Las Vegas, Nev., passed away Monday, March 11, 2019, at his home. He was born June 8th, 1931, in Chicago, Ill., to Harold and Vera Braden. He married Patty Lou Wright on Sept. 24, 1950, in Brownstown, Ill. She proceeded him in death on May 31st, 2010. He was also preceded in death by one brother and four sisters. Surviving are one brother-in-law, Bill (Maddy) Wright of Morton and three beloved nephews, Lindsay Wright, Craig (Tammy) Wright and Kevin (Wendy) Wright, all of Morton. He is also survived by two great nephews, Jordan and Alex Wright; and two great nieces, Taylor and Megan Wright, whom he dearly loved. Bill also had a life-long love for horses. He worked as a trainer and driver for harness horses in Illinois. Bill and his wife, Patty, raced harness horses throughout the country, coast-to-coast. He also was an assistant trainer for Delvin Miller and was proud to have trained Meadow Skipper and raced Darn Safe. He worked for Hayes Fair Acres and won the 1963 Illinois State Fair Colt Stakes with Dandy Date. He and Patty loved experiencing the success of his brother in law, Bill Wright’s, Hambletonian horses, Dreamaster and Classic Photo. He was a member of the U.S. Trotting Association, Masonic Lodge, and Morton VFW Post 5921. Cremation rites have been accorded. A Celebration of Life service will be held at 5:30 p.m., Thursday, March 14, 2019, at Creekwood Apartments, 150 Yordy Rd in Morton. Brian Philip Cotton, 31, of Fairfield died at 2:00PM on Friday May 11th. He was a Race Horse Driver and was also employed by ENS Metals. Brian is survived by his wife Brooke Cotton; Son-Braxton Cotton; Parents- Philip and Sherry Cotton all of Fairfield; Brother- Michael (Mary) Cotton of Oakdale IL; In-Laws-Roger and Linda Tucker of Fairfield, Sister-in-Laws-Breanne (Dave) Medler of Fairfield and Ashlea (Eli) Devoy of Mill Shoals; Brother-in-Law Nick (Ashley) Tucker of Geff; Grandparents-In-Law-JR and Ruth Wilson of Johnsonville; Several Nieces, Nephews, Family, Friends, and Members of the Amish Community also survive. Funeral services for Brian Philip Cotton will be held at 10AM on Thursday May 17th at Johnson and Vaughn Funeral Home with burial in Maple Hill Cemetery. Visitation will be from 5-8PM Wednesday May 16th at the Funeral Home. In lieu of flowers, the family requests Memorials be made toward a College fund for Braxton and will be accepted at the Johnson and Vaughn Funeral Home which is in charge of all the arrangements. If anyone would like to support Kate and Gary at this time, a fund has been set up for them and donations are being accepted through the horsemen’s bookkeeper at Hawthorne. Dwayne Pletcher, 85, of Shipshewana, IN passed away on July 5, 2017 at 11:45 pm at Parkview LaGrange Hospital, LaGrange, IN. Dwayne was one of the nation’s top drivers and developers of colts and a member of one of Chicago’s most famous harness racing families. Dwayne was born in Goshen on July 27, 1931 to Lester and Irma Pletcher. He drove his first race the day before he turned 15 in 1946 at the Cassopolis, MI county fair, where in three heats with P.J. Volo he finished 2-2-1, his first win. He graduated from Shipshewana High School in 1949 and served in the US Army as a sergeant in Korea. Upon his return he resumed harness racing as his career and passion. Dwayne has won 1,477 races in his lifetime, including the Sportsman’s Park Midwest Derby three times with Transient in 1966, Teffe in 1970 and Overcast in 1973. Chaw, 1972 Illinois Horse of the Year, was campaigned by Dwayne. Others in the long line of top horses he’s handled include, Pacing Boy, Pepe Dancer, Shady Counsel, Right Honor, Galahad, Nemma Hanover, Sherry’s Honor, H.D. Counsel, Shady Mile, Sluf, Tuit and stakes winning Butter Up, Vieta, Miss Yankee Doodle and Perfect Illusion. Dwayne was the leading driver at Maywood Park in 1958, and 8th in the National Rating in 1959. 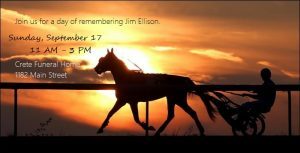 He was a member of the Illinois Harness Horseman’s Association, the Indiana Standardbred Association, and the United States Trotting Association. Dwayne raced in Illinois, Indiana, Michigan, Ohio, Kentucky, New York Pennsylvania and California. He mentored both of his sons, Steve and Jeff, who also made harness racing their life’s work. Dwayne was preceded in death by his father Lester, mother Irma and brother Donald. He is survived by his wife of 63 years, Areta, two sons Steve (Vickie) Pletcher and Jeff Pletcher, all of Shipshewana, grandson Brett (Amber) Pletcher and great grandchildren, Ethan, Landon and Bailey Pletcher of Topeka and brother Delmer Pletcher of Howe. No services will be held. Please send condolences to PO Box 6, Shipshewana, IN 46565 or donations to the Food and Clothes Basket in LaGrange, IN in Dwayne’s name. Online condolences may be sent at millerstewartfuneralhome.com. Longtime Illinois horsemen Danny R. Moore, 67, of Rushville, died Dec. 23, 2016, at Memorial Medical Center, Springfield. Services will be 10 a.m. Wednesday, Dec. 28, at Wood Funeral Home, Rushville. Burial will follow in Rushville City Cemetery. Visitation will be 4 to 7 p.m. Tuesday, Dec. 27, at the funeral home. Sharon Joan Finn, 54 of Newton, IL passed away at 11:47 am on July 1, 2016 at her residence. Funeral services will be at 12:00 noon on Wednesday July 6, 2016 at the Barkley Funeral Chapel in Greenup. Visitation will be from 10:00 to service time on Wednesday at the funeral chapel. Burial will be in the Aten Cemetery rural Hidalgo, IL. Sharon was born on December 23rd 1961 in Louisville, KY the daughter of Jack & Barbara (Dooley) Buckler. She married Fred Jr. Finn on December 31, 1998. Surviving is her husband; Mother and Step father Barbara & Eddie Lewellyn of Salem, IN; children Larry Finn of Chicago, Freddie (Donna) Finn of Newton, Stephanie Berry of Henderson, KY, Ryan Musgrave of Fairfield, Selina (Matt) Harris of Willow Hill and Rachel Finn (Justin Shepherd) of Newton; grandchildren Jazmin Arnold, Zak Finn, Aliyah Finn, Landon Berry, Alyse Rollings, Blake Harris, Braxtyn Harris, Aria Harris, Chase Shepherd and one granddaughter due in August; Brothers Larry and George Buckler; Sisters Carol Marie Williams, Donna Sue Hebner, her twin sister that’s a minute older Karen Drake and Laura Jo Sizemore. Sharon was preceded in death by her Father Jack. Shirley Ann Finn passed away yesterday, January 14th. Former IHHA President and longtime harness driver and trainer Bill McEnery has passed away. Loving father of William “Billy” McEnery. Former owner of Gas City. Stepfather of Jennifer (David) Christopher and T.J. Geary. Dear grandfather of Grace Christopher, and Makena Geary. Dear son of the late Thomas and Legoria (nee Flannery). Dear brother of Legoria (the late Robert) Hynes, the late Thomas (Jean), Daniel (Noreen), Jack (Eugene Pustovoy), Maureen (James) Dillon, Leonard (Lyn), Kevin (Beth), Marguerite (James) White, Patty (Brian) Maher, and Jeanette (Thomas) Ryan. Kind uncle and great uncle of many nieces and nephews. Visitation Sunday 2-8 p.m. Funeral Monday 9 a.m. from the Robert J. Sheehy & Sons Funeral Home, 9000 W. 151st Street, Orland Park, IL to St. Mary Church, Mokena, Mass 10 a.m. Interment Holy Sepulchre Cemetery In lieu of flowers, contributions to the Legoria and Thomas McEnery Scholarship Fund, c/o Mt. Carmel High School, 6410 Dante, Chicago, IL 60637 or Providence Catholic High School, 1800 W. Lincoln Hwy, New Lenox, IL 60451. www.sheehyfh.com 708-857-7878. James C. Fox, age 83, of Paducah, KY, passed away at 11:08 a.m. on Saturday, October, 3, 2015 at Lourdes Hospital in Paducah. Mr. Fox, known as Jim, started his career with horses training American Saddlebreds but joined the U.S. Trotting Association in 1972 and began to raise, train and race Standardbreds. Several of his horses were noted stars in the IL racing program including HERE I COME AGAIN, 3, 2:02.3m ($85,876), ANOTHER DIAMOND 2,2:03.3f; 3,2:01f; 4,1:59.4h ($210,148) and SHOBOY 2,2:02.4; 3,2:00.1 ($331,355). Mr. Fox was a member of Broadway United Methodist Church, owner of Paducah Collection Agency, past President of Carson Park Riding Club, a member of Kiwanis Club, Rotary Club and a Mason. Mr. Fox is survived by his wife, Dr. Bambi Lynn Fox; three daughters, Shan Embry of Leitchfield, KY, Caryn Price of Lexington, KY and Jena Sweeney of Smyrna, TN; eight grandchildren. He was preceded in death by a son, David C. Fox. Funeral services were held on Saturday, October 10, 2015 at Milner & Orr Funeral Home of Paducah with Rev. John Smithmier and J.W. Cleary officiating. Entombment followed at Benton City Cemetery. Peter Bridges, Program Director for Chicago racetracks, passed away earlier this week. Peter was always helpful and had a kind word every time you met him, took over when the late John Tinsley retired in 1993. Peter was a tireless worker that went about his job quietly but extremely efficiently. He will be truly missed. There will be a memorial service in the future and we will let everyone know when those details become available. WARRENSBURG — Larry Wright Barnett, 77, of Warrensburg, IL passed away Sunday April 5, 2015 at Decatur Memorial Hospital surrounded by his family. At Larry’s request, there will be a celebration of his life on Saturday, April 11th at Warrensburg Sportsmen’s Club from 1 to 4 p.m. Casual attire is suggested, St. Louis Cardinals or Missouri Tigers colors would be Larry’s preference. Private graveside services will be in Boling Springs Cemetery, Decatur IL. Brintlinger and Earl Funeral Home, Decatur, is assisting the family. Larry was born August 16, 1937 in Hindsboro, IL, the son of Bennie and Vera (Wright) Barnett. After graduating from Virginia H.S. class of 1955, Larry continued his education graduating from St. Louis College of Pharmacy in 1959. Larry married Jennifer Suzanne Ross in 1995 in Reno Nevada. Larry was a passionate sports fan. He enjoyed watching the season change, from basketball to baseball to football. He was a diehard St. Louis Cardinal and Missouri Tigers fan. Locally, he truly enjoyed attending sporting events especially the Warrensburg-Latham Cardinals, however, his St. Teresa Bulldogs could do no wrong. Larry loved the time he spent coaching for St. Teresa boys’ and girls’ basketball teams. Larry’s absolute favorite sport was Harness Racing. Following in his fathers’ footsteps he was a respected competitor within the horseracing community. He owned, trained, and raised standard bred racehorses with exceptional skill and patience. Most amazing is Larry’s network of family, friends, and loved ones. From attending spring training for the St. Louis Cardinals in Florida, to vacationing in Alaska, Larry always managed to come across an old friend or acquaintance. But, no matter how far he traveled, he always looked forward to returning home to the gang of local rednecks, farmers and tall tale tellers. Larry is survived by his wife, Jennifer of Warrensburg, IL; children Bryan Barnett of Tampa, FL., Derek Schrishuhn of Decatur, Chris (Sarah) Schrishuhn of Decatur, Brittany (Chris) Wentworth of Warrensburg, IL., grandchildren Lillian of Calhan, CO., Avery (‘Lil A) and Aspen of Warrensburg, IL. He was preceded in death by his parents. The family would like to express their most sincere gratitude to Dr. Kumar, Dr. Liu, Dr. Minnaganti, and Dr. Hasnain and the nurses from ICU Cari and Sara and from CVU, Rebecca and Sarah. Sarah, we cannot say enough of what your compassion, dedication, and honesty means to our family. Memorials may be made to St Teresa High School, or the Warrensburg Volunteer Fire Department. Mitch Wayne Finn, 33, of Greenup, IL and formerly of Newton, IL passed away on Friday, February 20, 2015 at 5:01 p.m., at Barnes Jewish Hospital in St. Louis, MO, surrounded by his family. Funeral services will be held at 10:00 a.m. Wednesday, February 25th at the Meyer Funeral Home in Newton with Pastor Stephen Willis in charge of services. Burial will follow in the Aten Cemetery, Hidalgo, IL. Visitation will be from 4:00 to 8:00 p.m. Tuesday. In loving memory of Mitch, memorials may be made to the Finn family for his children’s scholarship fund. The obituary can be viewed and condolences left at www.meyerfh.com. Mitch was born on June 5, 1981 in Toledo, the son of Eddie W. Finn and Vicki L. Miller Finn. Mitch taught Jr. High Math in the Oakland school system and was a member of the Illinois Teachers Association, N.E.A. and U.S.T.A. (United States Trotting Association). He married Lyndsey Lewis on June 12, 2010, and she survives. Also surviving are his parents; his son, Mason Wayne Finn; his daughter, Kallie Grace Finn; his brother Clinton and his friend Raeonna of Toledo, IL; his sister, Shelley and her husband Brandon Williams of Rosedale, IN; his paternal grandfather, Ed Finn of Hidalgo; his maternal grandparents, James and Mart Miller of Monee, IL; as well as several nieces and nephews. Mitch was preceded in death by his brother Eddie Wayne Finn, Jr.; his paternal grandmother, Minnie Belle Finn; his cousin Danny Finn, Jr.; and his aunt, Cheryl Hendrickson. Ronnie Dale Guhy, 65, of Wickliffe, Ky., died Jan. 16, 2015, in LaCenter, Ky.
Mr. Guhy was born Oct. 21, 1949, in Mayfield, Ky. He spent a lifetime in the harness racing industry. Although in recent years he mainly competed in Illinois and Kentucky, he raced successfully at tracks throughout the country. Over the years, horses from his stables could be found decked out in red and winning at venues from county fairs to major stakes at the pari-mutuel racetracks. Mr. Guhy drove his last race on Sept. 11, 2014, at Hoosier Park in Indiana. He won 654 races and amassed $1,389,272 in purse earnings. In recent years, he was one of the top drivers on the Kentucky Fair Circuit each season. Known for his quiet disposition and patience, he could be credited with giving many horses their early lessons on the track. Many of those horses went on to become quality racehorses around the country and in Canada after graduating from the Kentucky events. On the training side, he sent 171 winners to the track, earning $1,489,791 in purses. Always carrying a decent training percentage, Mr. Guhy was the private trainer for Clyde Stevens of LaCenter, Ky., for a number of years. An auto dealership owner, the Stevens owned horses bore the “Chevie” brand in their name. Some of the duo’s top performers were Chevie Cash p,2,1:50.4 ($265,078), Chevie Nitrous p,3,1:52.4 ($116,852) and former 2-year-old world champion Chevie Duramax p,2,1:50.3 ($116,342). Mr. Guhy was a devoted uncle to his nieces and nephews. His passion for harness racing was passed on to his nephew, Bobby Brower, who is a successful trainer based in Indiana. He is survived by his sisters, Debra Hoskins and Emma Franklin; and his brother, Gary. He was preceded in death by his parents, Claude and Thelma Tharp Guhy; sisters, Betty Brower, Linda Bobbett, Janet Burgess and Brenda Tucker; and brothers, Claude Jr. and Glendle. A memorial service will be held at Milner & Orr Funeral Home of Wickliffe on Wednesday (Jan. 21) at 1 p.m. Friends may call at the funeral home after 12 p.m.
Memorial contributions may be made to the Ronnie Guhy Memorial Fund, c/o Burlin Brower, 2396 Stone Corner Rd., Kevil, KY 42053. 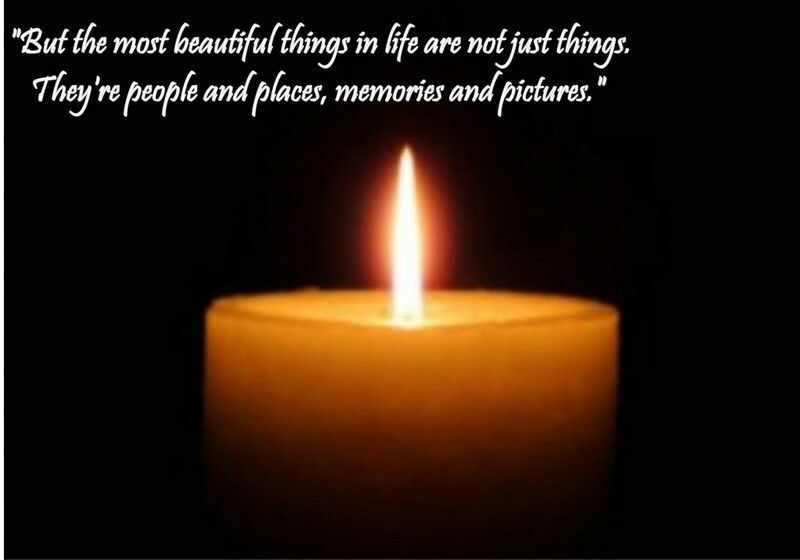 You may leave a message, light a candle, or share a song tribute for the family at www.milnerandorr.com.